Like material from the elder Tweedy's career, Sukierae offers up a wide variety of songs, from gentle acoustic numbers to psychedelic sessions. When your dad is Wilco frontman Jeff Tweedy, it's not a surprise when you become a musician yourself. It's not often that a son starts a new band with his successful dad, however, but that's just what 18-year old Spencer and proud pop Jeff did with Tweedy. It's a family affair on Sukierae, with the album being named after Susan Tweedy's nickname. In fact, much of Sukierae is inspired by Susan's battle with non-Hodgkin lymphoma, imbuing most of the tracks with a melancholy that should be familiar for Wilco fans. Like material from the elder Tweedy's career, Sukierae offers up a wide variety of songs, from gentle acoustic numbers ("Pigeons") to psychedelic sessions ("Diamond Light Pt. 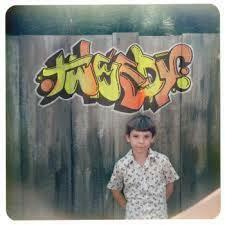 1"), but at 20 tracks long, Tweedy's first effort is rather bloated, feeling like it's a collection of b-sides rather than a true album. Still, there are some truly lovely moments on Sukierae, like closer "I'll Never Know," making Jeff and Spencer's first collaboration a good one.